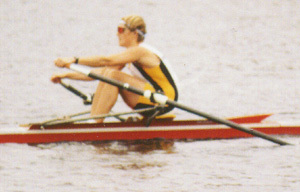 Since opening Calm Waters Rowing in 2001, Charlotte Hollings and John Dunn have continued to row competitively and win. In 2018 alone, Charlotte took home six gold medals from the World Rowing Masters Regatta in Sarasota, Florida, then traveled to Massachusetts, and — for the second year in a row — took First Place in the Women’s Grand Master Singles at the Head of the Charles Regatta. Charlotte Hollings and John Dunn have spent more than 70 years immersed in the sport of rowing. Charlotte began in high school while John first picked up an oar as a freshman at Cornell University. Both have rowed on the U.S. National Team, winning several international medals. Charlotte’s coaching career has taken her west to Stanford University before heading back east to Boston University and then Cornell University. 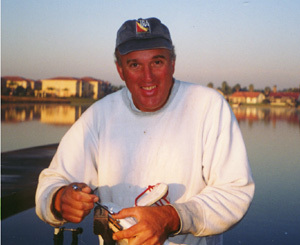 John remained close to home, coaching at his alma mater, first as the frosh lightweight coach, then varsity lightweight and finally varsity women, for 18 years. It was at Cornell that Charlotte and John first met and then married in 1995. In 1998, Charlotte and John tried something a little different and started coaching sculling at a master's camp. They enjoyed it so much that they immediately set out to start a sculling camp of their own. Calm Waters Rowing is the culmination of two years of extensive searching and planning.